Reyes is a man possessed. Bound by the demon of pain, he is forbidden to know pleasure. Yet he craves a mortal woman, Danika Ford, more than breath and will do anything to claim her—even defy the gods.Danika is on the run. For months she's eluded the Lords of the Underworld, immortal warriors who won't rest until she and her family have been destroyed. But her dreams are haunted by Reyes, the warrior whose searing touch she can't forget. Yet a future together could mean death to all they both hold dear…. Reyes is one of the Lords of the Underworld who opened Pandora’s Box, and he became the Lord of Pain. In order to feel any kind of pleasure he must feel pain, so Reyes continually over the years has had to hurt himself. When the Lord of the Underworld are commanded to kill Danika and her family that they kidnapped months ago, Reyes helped Danika and her family escape and now they are on the run. For there is one Lord Aeron, who is unable to stop searching for the women. So Reyes has put him in chains and captivity as Aeron’s request so that he wouldn’t kill them. Danika having been on the run for months, not seeing her family since they split for one another’s safety. When she is found out by a couple of hunters she defends herself and ends up accidently killing one of them not realizing how much she is actually able to do. Through the months she has dreamed of Reyes, thinking of him constantly. She can’t seem to forget the touches that set fire to her skin. She is then found by some other hunters that kidnap her thinking that she is the way in to getting hold of the Lords of the Underworld. Reyes when he hears of what has happened, he and the other Lords that aren’t out to kill her, goes to help rescue her. They bring her to their fortress, where Danika wants answers to where her family is and if they are still alive. All the while, a sensual connection strengthens between Danika and Reyes with kisses and touches and a desire that only grows stronger the longer they are together. Despite all the danger surrounding them both, their love will conquer! 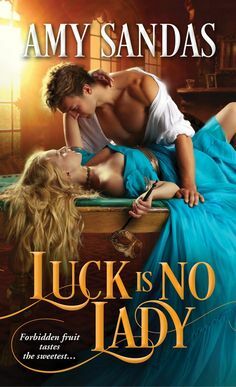 I truly have loved this book, it had such a great sense of love and passion and danger that is perfect with the style of the story and way that the author writes. The love scenes alone were wonderful, and seemed to really connect with the reader. This is the first that I have read of the Lord of the Underworld Series, and I am impressed. I just started getting into Gena Stowalter and I am so glad that I did. She is one of my favorite Paranormal Authors. I simply loved everything about this book, and I have no complaints, and I will have to give it the highest blossom, since it was better than I thought that it would be.